A researcher at NovoBiotic Pharmaceuticals holds up a sample of the bacterium Eleftheria terrae, the basis for a promising new antibiotic Teixobactin, in Cambridge, Massachusetts, Nov. 22, 2016. Unless new antibiotics are developed quickly, people will once again die from common infections. The World Health Organization has issued an urgent call for scientists to develop these new drugs, and for governments to fund the research. Dr. Trish Perl, chief of infectious diseases at University of Texas Southwestern Medical Center, said if there are no effective antibiotics, it will affect the entire practice of medicine. “You all of a sudden understand what it was like to practice medicine maybe 50, 70, 80 years ago, when there weren't antibiotics,” Perl said. Without antibiotics, surgery will become much more dangerous. Doctors will be unable to treat diseases caused by E. coli, a bacterium that causes urinary tract infections and diarrhea. Even a virus such as the flu, which can lead to bacterial pneumonia, will mean these viruses will ultimately claim even more lives. New antibiotics are urgently needed against bacteria that pose the greatest threat to human health. Those most at risk: residents of nursing homes, hospital patients, and children. Children may have weaker immune systems than adults, and they receive smaller doses of antibiotics than adults do. “For the longest time we've had a number of different antibiotics in the pipeline at any given time, so whenever we ran out of the ability to use one, we would move to the next one," Dr. Michael Bell, an expert in drug-resistant pathogens at the Centers for Disease Control and Prevention, told VOA. But that's no longer possible. Joe Larsen, the director of biological, chemical and radiological and nuclear countermeasures at the Department of Health and Human Services, said his department drew up a list of pathogens several years ago that were becoming resistant to antibiotics. 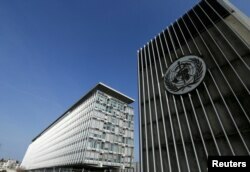 The headquarters of the World Health Organization (WHO) is pictured in Geneva, Switzerland, March 22, 2016. “There are antibiotics in the pipeline, but the numbers are insufficient ... to deal with the increasing rates of antibiotic-resistant bacteria,” he said. Larsen's department invests in pharmaceutical and bio-tech firms to make drugs, vaccines and diagnostics for public health emergency preparedness. Larsen is hopeful that a new antibiotic will be approved by the Food and Drug Administration later this year. He also said two to three more antibiotics are being developed that should be available in a year or two. The WHO said it's too expensive for pharmaceutical companies to develop new antibiotics on their own because they wouldn't recoup their investment. Larsen agrees that the way antibiotics are commercialized needs to change. One reason is that the more an antibiotic is used, the less effective it becomes. That's because bacteria are constantly changing and finding new ways to resist the drugs that kill them. Once they find a way, they can pass on the gene so other bacteria can become drug-resistant as well. To preserve the effectiveness of an antibiotic, Larsen said the profits from selling these drugs can't be linked to the volume of sales the way the market normally works. He said the solution lies in public-private partnerships between governments and pharmaceutical or biotech firms. In the meantime, antibiotic resistance is very real. The Centers for Disease Control and Prevention headquarters in Atlanta. The Centers for Disease Control and Prevention has asked hospitals and doctors to be careful not to overuse antibiotics. 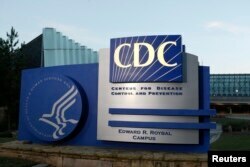 But beyond overuse, Bell, of the CDC, said there are other reasons these drugs are being rendered powerless. “Antibiotic resistance is being generated by not only using too many antibiotics, but also by spread of infection by lack of hygiene, from unintended contact with soiled surfaces, so the infection-control side is equally important,” he said. Patients can also help. On its website, the CDC says to take antibiotics as prescribed and finish the prescription, even if you feel better. Still, urgent action on a global level is needed to prevent the catastrophe that a post-antibiotic era would cause.